(Lihue) – In the final weeks of 2016, eight Nene (Hawaiian Goose) have been killed by vehicles along a two mile stretch of the Kaumuali‘i Highway in Kekaha. Nene are only found in Hawai‘i and are listed as endangered due to theirlow number, with an estimated 1,200 remaining on Kaua‘i. 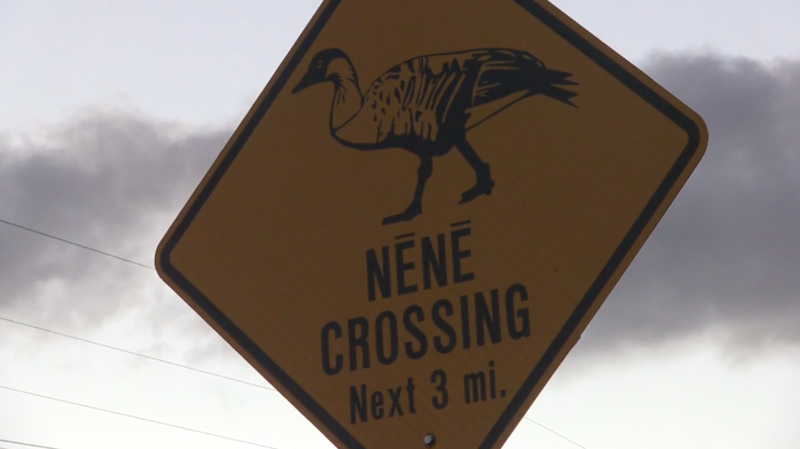 In the past two years 50 Nene have been struck and killed by cars across the roadways of Kaua‘i. Typically the majority of vehicle strikes occur in Hanalei and Kilauea, however the most recent strikes are occurring on the west side of the island.